A new recruit has released for the Office of Commissioner of Land Records & Settlement, the government of Madyapradesh. Candidates who searching Govt Jobs In MP can check this Job Alert to participate. Freejobalert Service collected some important information related to this Patwari recruitment in MP. 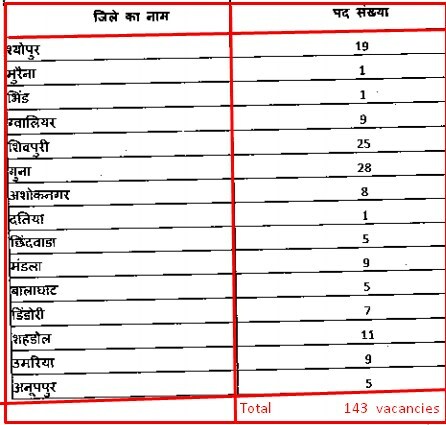 Che full details of this latest MP Govt Jobs and recruitment procedure 2018. ►Post name and vacancy details: The Office of Commissioner of Land Record & Settlement will recruit a total 143 Patwari vacancies. Look at below for the vacancy details. ►Educational Qualification required: Candidates who want to participate in this Patwari Recruitment for the Land Records & Settlement department of Madya Pradesh, Th participant should be Higher Secondary Exam passed(10+2) from a recognised board. ►Age Limit: The upper and lower age of the candidate should be between 18 to 45 years old as of 1st January 2018. ►Application Charges: To participate in this recruitment of Patwari vacancy of Land Records & Settlement, the candidates have to pay exam fees Rs 70 only. ►last Date of Application Submission: If you are eligible and interested to apply in this recruitment then you have applied on or before 28th July 2018. ►Offical notification: Now Freejobalert Service providing you with the official notification and the website where you can apply in this recruitment, To participate in this recruitment of Patwari vacancy of Land Records & Settlement. Please read the official notification carefully before applying for this MP Govt Jobs. 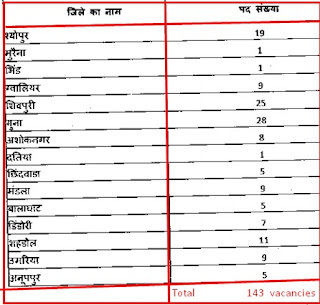 ►Do you need more latest recruitment notification for participate and cracking a private or govt jobs? Freejobalert service is ready to help you. We have already discussed some popular recruitment and vacancy details for our valuable readers. Look at below some latest recruitment details.